Our 'Instant Brightening Facial Scrub' is 100% Certified Organic, 100% Natural, 100% Vegan and 100% Pure. It is Cruelty Free, Paraben Free, GMO Free, Chemical Free and Toxin Free. **Can be used by both men and women. Our facial scrub is inspired by Ayurveda, and it combines anti-ageing beauty secrets with ancient wisdom and modern know-how. 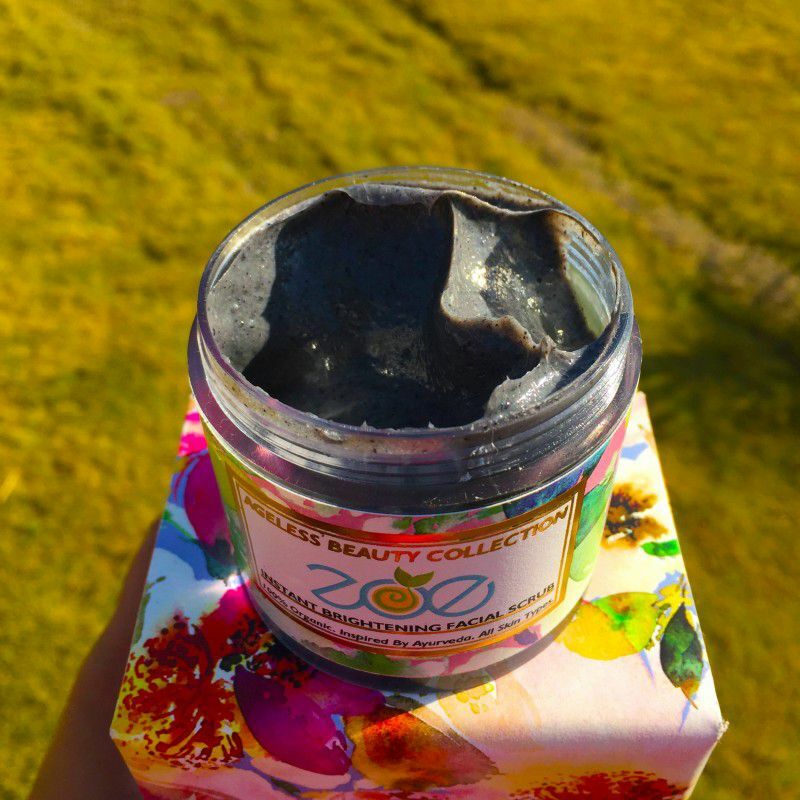 Activated charcoal is one of the best natural exfoliators known to man-kind. 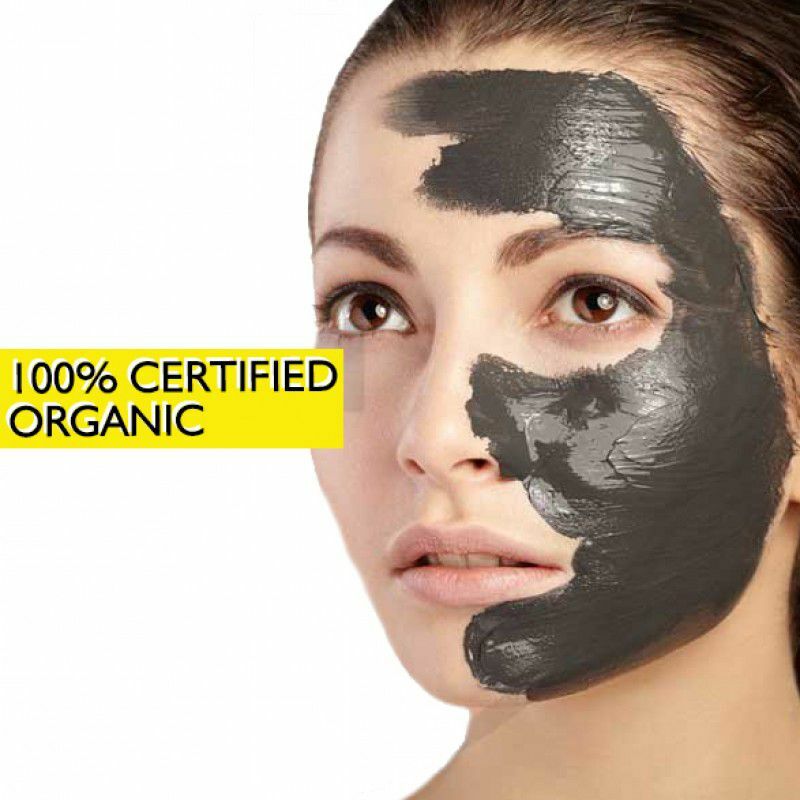 Activated charcoal helps to pull the dirt out of the skin's pores and get's rid of the dead skin cells that makes our skin look dull. Tee tree essential oil is a natural skin cleanser as well as a skin softening balm. Tee tree oil also helps in reducing acne. Cleopatra, the beautiful queen of Egypt, used to bathe in chocolate and milk everyday, so why shouldn't we? Cocoa powder has many therapeutic properties that heal the skin from inside. Natural shea butter is rich in fatty acids, phyto-sterols, Vitamin E, D and A. It has collagen, which helps improve the skin's elasticity, so that we never look old. Shea butter is also very moisturising and naturally anti-inflammatory. It also protects the skin against harmful UV rays. Sweet almond oil is made from the edible almonds, making it a rich source of natural Vitamin E for the face and body. Sweet almond oil suits all skin types and helps in removing dark circles, skin pigmentation, skin rshes and tan. Dead Sea Salt is rich in 21 essential minerals like magnesium, calcium, bromide and potassium. It strengthens the cell membrane and promotes cell regeneration. It has deep healing properties for the skin. Bees wax forms a protective barrier on the skin, which protects it from the irritants and pollutants in our environment, while at the same time allowing our skin to breathe. It soothes the skin, hydrates it, and has a gentle natural fragrance that keeps our mood positive. CCT is derived from coconut oil and glycerin. It is the best natural emollient (skin softener) and skin-replenishing ingredient. It is considered a superior emollient for face scrubs because it is very gentle and soothing. Our 'Instant Brightening Facial Scrub ' is 100% Certified Organic, 100% Natural, 100% Vegan and 100% Pure. It is Cruelty Free, Paraben Free, GMO Free, Chemical Free and Toxin Free. Activated Charcoal, Tea Tree Oil, Cocoa Powder, Shea Butter, Sweet Almond Oil, Aloe Vera Gel, Apricot Kernel Oil, Dead Sea Salt, Bees Wax, Aqua, Vegetable Glycerin, Capric Caprylic Tri Glyceride, Glycerol Mono Stearate, Cetearyl Alcohol and La’PHEN DB. Use a small amount on damp skin and massage gently onto the face and neck in circular motion to deeply cleanse the skin. This facial scrub is mild, gentle, organic and natural. It is suitable for all skin types and can be used by men, women and children. You can also use it if you have sensitive skin. 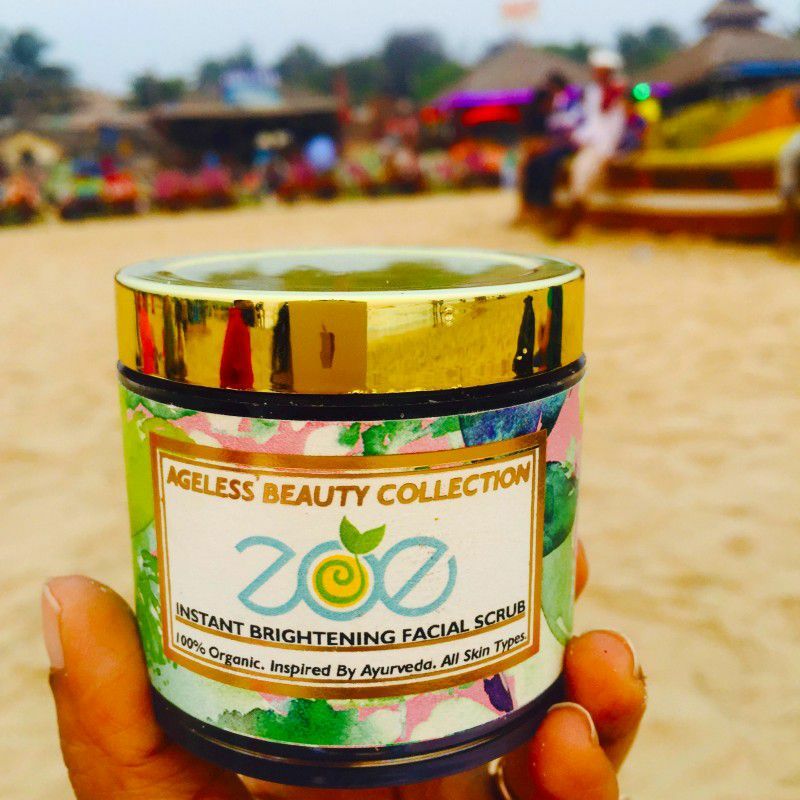 Our 'Visibly Brightening Facial Scrub' has been carefully crafted with love in the lap of the Himalayas. It is a multi-nutrient scrub with the goodness of 8 magical flowers, seeds, oils and herbs that will make your skin radiant and soft, remove wrinkles, acne and blemishes and reduce dark spots. Use daily to give your face a healthy and fresh start every morning.